HARGEISA, Aug 27 2015 (IPS) - Bar Seed is the only female member in Somaliland’s 82-person Parliament, but activists hope upcoming national elections may end her isolation. Gender equality advocates in the self-declared nation are currently renewing a push for a quota for women in government that has been over a decade in the making. “The public’s opinion is changing,” says Seed hopefully. Somaliland, internationally recognised as a region of Somalia and not as an autonomous nation, nonetheless hosts its own elections and has its own president. It is often hailed as a burgeoning democracy that circumvented Somalia’s fate as a failed state. But noticeably absent from the decision-making process – to the detriment of the country’s development, activists argue – are women. With only Seed in Parliament, no women in the House of Elders known as the Guurti, and two female ministers and two deputies, supporters argue that a political quota enshrined in law is necessary to correct this gender imbalance. “Nobody is going to take a silver platter and present it to women. We aren’t being shy anymore, we are saying: you want my vote? Then earn it,” says Edna Adan, a former foreign minister in Somaliland and founder of the Edna Anan University Hospital, a facility dedicated to addressing gender issues such as female genital mutation (FGM). Adan has witnessed the debate about women in government evolve over the years, playing out as a political game often filled with empty promises to appoint more women in positions of power. 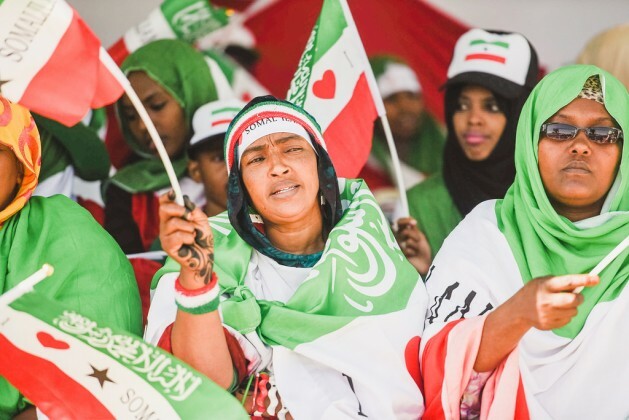 A measure to enact a political quota has twice failed to pass Somaliland’s legislature, once shot down by Parliament and once stymied by the Guurti. But Adan believes conditions have ripened for women to make a final push for a quota as they have become more organised and strategic in their lobbying efforts. While some accuse advocates of “settling” for their current demand of a reserved 10 percent of seats – meaning women would only run against women for eight spots in Parliament – Adan counters that setting the bar higher at the moment is unrealistic. In addition to pushing for this 10 percent clause in an election law that Parliament is slated to review and debate in the coming months, advocates are also lobbying political parties to have voluntary quotas for their list of parliamentary candidates for seats outside those exclusively reserved for women. A disputed extension decision made in May that postponed Somaliland’s elections for president, parliament and local councils until at least the end of 2016 and as late as spring 2017 drew the ire of the international community and much of civil society including organisations backing a women’s political quota. Critics say the extension calls into question Somaliland’s commitment to a democratic process. But the extra time may prove to be a silver lining for quota lobbyists. It could give them leverage to force politicians to prove their adherence to building an inclusive government in order to appear favourable to their constituents and the international community by pushing for more women in government. “Women have threatened the parties that if they don’t support us, then we will not support them,” says Seed, who is a member of the Waddani Party, one of Somaliland’s two current opposition parties. However, she explains that parties often publicly support ideas and mechanisms that push for gender parity but have a poor track record of following through with them. In many ways they have not been obliged to because, historically, women have not voted for other women in meaningful numbers. “So they know it’s a bit of any empty threat but some are frightened [they could lose female votes],” Seed adds. Also standing in the way of women is Somaliland’s deeply entrenched tribal and clan system that overshadows politics. In order to win elections, individuals need the support of clan leaders who sway the vote of members of their tribe, explains Seed. But since men are viewed as the stronger candidate, women rarely received clan endorsement. A woman’s position is also unique in that she often has claims to two clans, the one she is born into and the one that she marries into, though this rarely works to her advantage. “If a woman goes on to become a minister, both clans would claim her, but if she asks for help, they both tell her to go to the other clan,” said Nura Jamal Hussein, a women’s advocate who is contemplating running for political office. The Nagaad Network, a local NGO dedicated to the political, economic and social empowerment of women, has been the buttress of the push for a quota. Its current director, Nafisa Mohamed, says that convincing women – who, according to some estimates, are about 60 percent of the voting bloc – to vote for women will be crucial to defying the status quo. Given the cultural and religious barriers that women contend with, that status quo will be incredibly difficult to change, she says. Mohamed counts small victories like a change in hard-line religious preaching that denounced women’s presence in politics. She says approaching spiritual leaders on an individual basis to garner their support has proved fruitful and that they are generally warming to the idea of women in government. But the power of religion in shaping public opinion is still palpable. Mohamed Ali has served in Parliament since it was last elected in 2005. He backs legislation for a quota for women in government. But asked if a woman could be president, he says it would be contrary to the teachings of the Quran, a view shared by many that IPS talked to. While he hesitantly admits that he may one day change his views, he says others would accuse him of “not knowing one’s religion” if he advocated a woman for president. Critics have brushed the quota off as an import from the West and an unnecessary measure that is pushing for change that a country may not be ready to undertake. Some also question if it will genuinely result in its desired effect that political empowerment for women will trickle down to other aspects of life. Amina Farah Arshe, an entrepreneur, believes that if there was greater focus on economic empowerment for women, more political representation would naturally follow.